If you are looking to take part in an exciting activity that is fundamental to local life in Alaska, salmon fishing may be the best choice. Ketchikan is the “Salmon Capital of the World” for good reason. With around 140 million pounds of fish coming through it’s docks annually, there is always plenty of salmon fishing to go around. 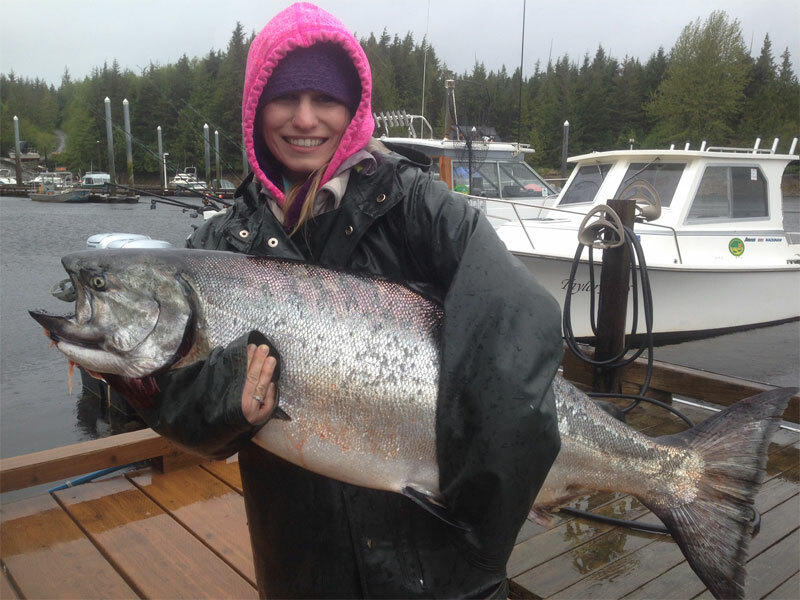 For centuries, salmon fishing has been a fundamental aspect of life in Ketchikan, Alaska. Every summer Tlingit natives depended heavily upon salmon fishing to stock up for the colder months and feed their communities. Today salmon fishing is still very much a crucial part of the economy. From sporting to commercial fishing salmon are a very important part of our community. Our city is dedicated to sustainable fishing practices, and committed to ensuring that generations for centuries to come will continue to benefit from our abundant salmon population. If you are looking to go salmon fishing in May, June, or July, you don’t want to miss out on the possibility of catching a King Salmon! Adding millions of dollars to Alaska’s economy yearly, Silver salmon are a very important species in the Ketchikan area as well. Roughly 75% of the Silver salmon caught in the United States come from Alaska. Silver salmon are the second largest type of salmon, weighing an average of 8 to 12 pounds, and are quite tasty as well. If you can’t come to Ketchikan in the early summer months, don’t worry; Silver salmon are most easy to catch between July and November. Salmon fishing is more than just a fun excursion to try to catch a big fish; it’s a chance to take in beautiful views of the local area and reconnect with nature. Away from the rush of city life, you can see beautiful wildlife in their natural habitat and take in the same sights natives have witnessed for thousands of years. You can have the opportunity to reconnect with yourself and your closest family or friends to think more deeply about life and create lasting memories. With a beautiful 28′ Bayline Trophy Boat featuring a pair of 225hp Honda’s, the latest technologies, a heated enclosed cabin, and private bathroom, we know you’ll love your next voyage with Anglers Adventures! 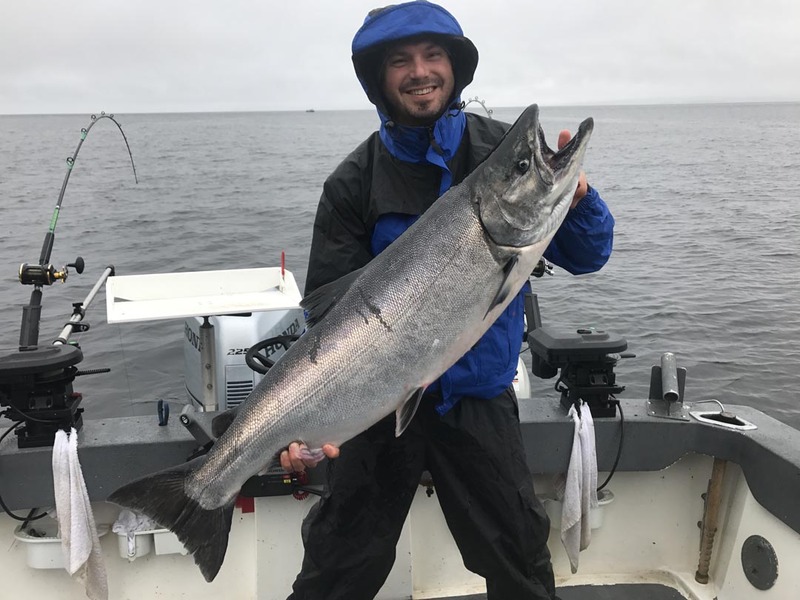 To book half-day, full day, or multi-day chartered fishing trips in Ketchikan, AK, call Brian today at (907) 254-0880, or email him at brian@anglers-adventures.com.